I don't know if any of you read Postsecret.com but you should. It's a pretty cool project that I have been following since 2003. Every week people mail in secrets on postcards and some of them get posted on a blog every Sunday. 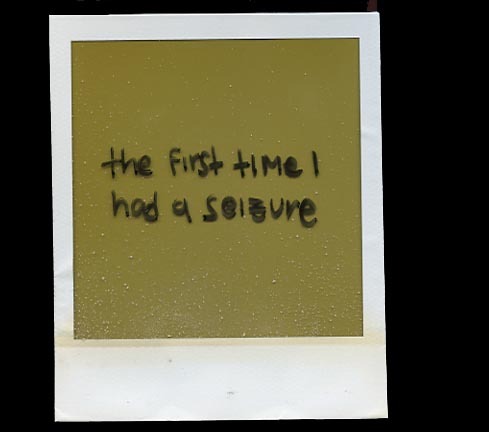 I came across this series of polaroids sent in as secret. It really made me stop and think. Anytime you take a photo, you are telling a story. Whether that story is, "BUY THIS" or "THESE PEOPLE LOVE EACH OTHER" or "THIS SUNSET IS BEAUTIFUL" or whatever it may be. Some stories are simple, some stories are sad, some stories are long, and some stories are funny. But what happens when there are things you just can't put into a photograph? What if its a thing that takes you 1001 words to describe? There are some things that the best photographer in the world couldn't portray in a still image. But then I remembered that the story is yours to create. That's the beauty of art...whatever you can take from it is what you are supposed to get out of it. 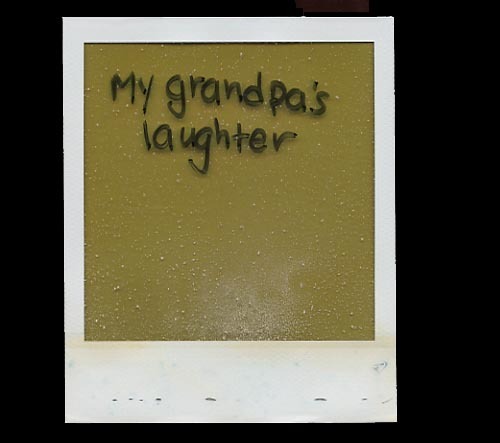 If that person saw a photo of their grandfather, they would remember his laugh, his smile, his smell, his hug. That is the power of art. It makes your brain connect things that you wouldn't before, or sometimes, tried to forget. I just thought it was fun to stop and think, "what are some stories I've told?" "what story am I not telling that I should?" 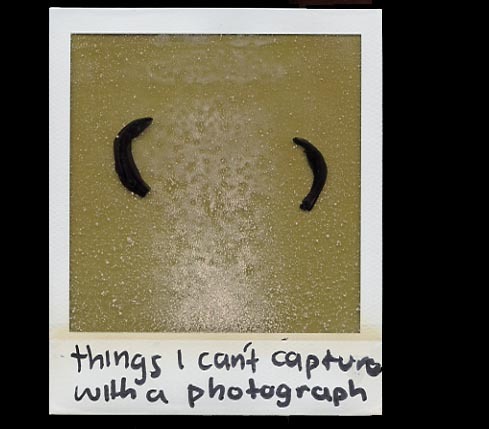 "what things just can't be photographed?" I'd like to think anything can be photographed...but there are certain things in this world that shouldn't be disgraced by being reduced to a photo.